How Many Insurance Credit Scores Are There? In a previous article, I discussed insurance credit scores used in auto and property insurance underwriting to predict risk and calculate your premium. 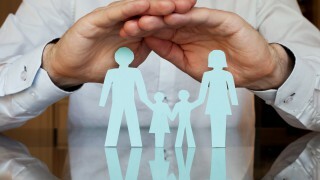 There are two primary types of insurance scores – generic and custom. Generic scores are based on data from many insurance companies and can be used by many insurance companies. These are sometimes referred to as “pooled data models.” These are sold to any insurance company to use. Because they are not generic, they aren’t as effective as a custom score. Custom scores are developed by the insurance company or for them by a third party using the insurance company’s data and solely for their use. These scores are more predictive for the individual company, since it is tailored to them. Many of the large insurance companies develop their own custom scores. Who builds the generic insurance scores and which are available to consumers? FICO and LexisNexis build the most commonly used insurance scores. LexisNexis scores are built by LexisNexis and use the Equifax credit report. These are sold to both consumers and insurance companies for a fee. There are two scores: Attract Home Insurance Score and Attract Auto Insurance Score. TransUnion developed the TransUnion Insurance Risk Scores and uses the TransUnion credit report. The version sold to consumers is called TrueCredit Insurance Score; there are two available – Home Score and Auto Score and are available for a fee. You may be familiar with FICO, key developer of consumer credit scores. They also build generic insurance credit scores available at Equifax, Experian, and TransUnion. They are two types: one for property and another for auto insurance. The version at Equifax is called InScore, at Experian is Experian/FICO Insurance Score and, at TransUnion is FICO Insurance Risk Score. FICO insurance scores are not available for consumers to purchase. In addition, custom scores used by many of the insurance companies are not available for consumers to purchase. For all these scores, high score means low risk and low score is high risk. Doesn’t this sound familiar? There were similar statistical techniques used to develop most credit scores. Insurance credit scores use the same credit report data as the consumer credit scores. All the generic insurance scores except those developed by FICO are available to consumers. No laws require a free copy, but at least you can purchase some of them. PreviousWhat Are Insurance Credit Scores? NextWhat Happens If I Haven’t Filed My Taxes?